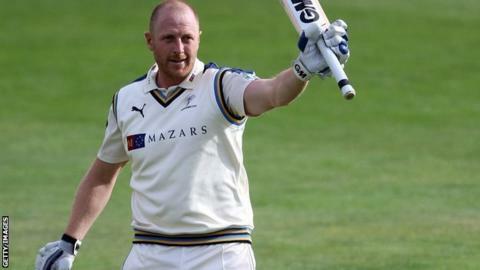 Yorkshire captain Andrew Gale has stepped down as the county's limited-overs skipper but will retain the first-class captaincy. Gale, 31, who will still be available as a batsman, has been replaced by Alex Lees in the short-term. He told the club website: "I feel it's beneficial for a fresh voice and new ideas in the shorter format. "I still hope to play a large part in the club's future success with the bat in the shorter format." Gale added: "I've enjoyed every minute in leading the team. Participating in the Champions League in South Africa was a highlight, along with reaching a One-Day semi-final. "I would like to wish Alex Lees all the best in the short-term and whoever the club appoint in the long-term." Jason Gillespie's side struggled in this year's T20 Blast, winning just five of their 14 matches and failing to qualify for the quarter-finals. The county champions are currently second in their One-Day Cup group after six matches.